Among its numerous industries New Jersey is best known for its thriving pharmaceuticals and telecommunication firms. You could play a part in New Jersey's economic success with a smart course from Knowledgehut. The academy offers several in smart learning modes. With constant improvement being the crux of innovation and new developments, a CSD certification in New Jersey can prove to be especially valuable even across industries. Scrum Alliance certified trainers deliver the CSD training in New Jersey in two parts. The first part focuses on scrum basics, scrum roles, the ceremonies and many discussions on related concepts. The second part known as the CSD technical track includes agile and scrum concepts, related discussions, coding as well as practice sessions. 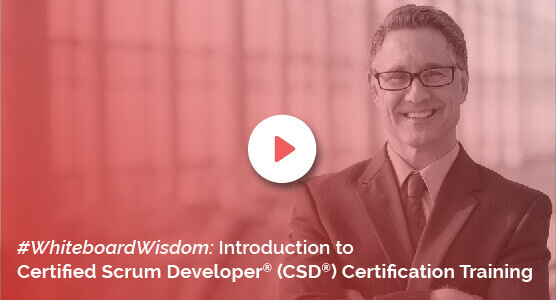 Attending the workshop for CSD certification in New Jersey will earn participants Scrum Educational Units (SEUs) and Professional Development Units (PDUs). This CSD training in New Jersey will satisfy the mandatory certification requirements. This fast track CSD training in New Jersey blends smart learning and essential practical exposure. Open to both employers and individuals, this coaching fosters rapid skill upgrade. This will enable you to further your businesses and careers. The CSD course in New Jersey comes bundled with several perks. Here are a few: The CSD course cost comes inclusive of the actual exam fee. Encouraging continued learning, Knowledgehut provides a 100-day access to its Agile and scrum e-learning course and more. Certified participants get a logo that testifies the Scrum Alliance recognition and a 2-year membership. Anyone interested can enrol for this Certified Scrum Developer training in New Jersey which is offered at a reasonable price. Before you decide to register, learn more about the Certified Scrum Developer certification in New Jersey. Contact us to schedule a demo.